Best for Comparative or Relative Measurements. 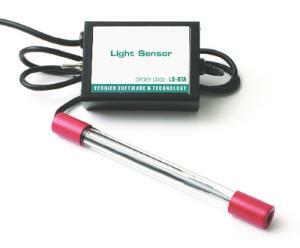 This light sensor uses a phototransistor to measure irradiance and UV, visible and infrared light. Complete investigations outside the visible light spectrum with the infrared capabilities of the sensor. This probe provides enables you to investigate the inverse square law of light, measure changes in light intensity for crossed polarizers and much more.